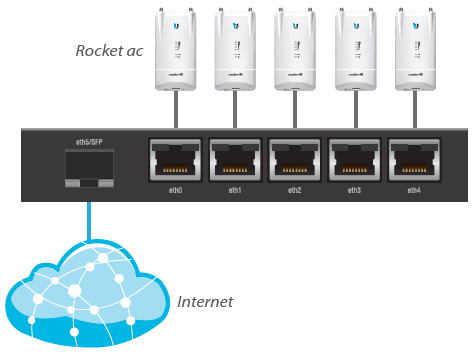 Ubiquiti Networks introduces the EdgeRouter X, part of the EdgeMAX platform. 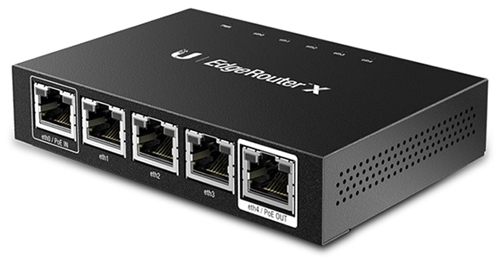 The EdgeRouter X combines carrier-class reliability with excellent price-to-performance value in an ultra-compact form factor. 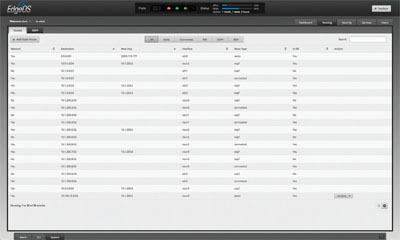 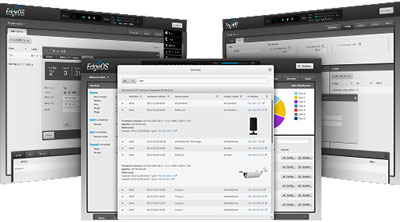 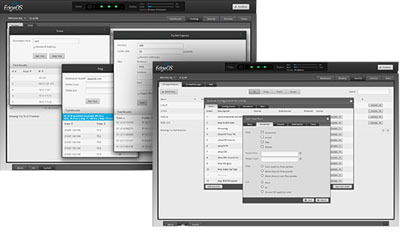 Two models of the EdgeRouter X are available. 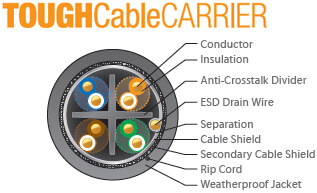 The standard model, the ER-X, can be powered by an external power adapter or 24V passive PoE input. 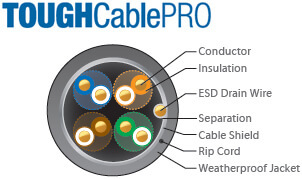 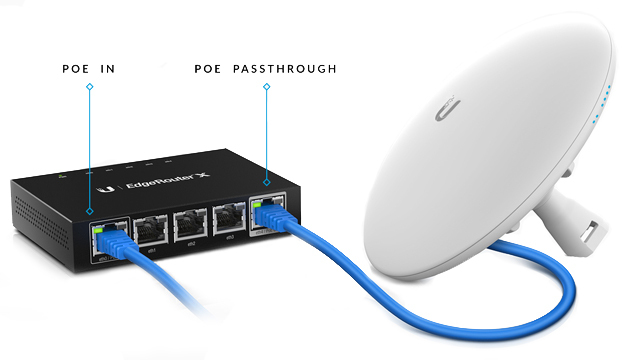 A passive PoE passthrough option1 is available to support a single airMAX device. 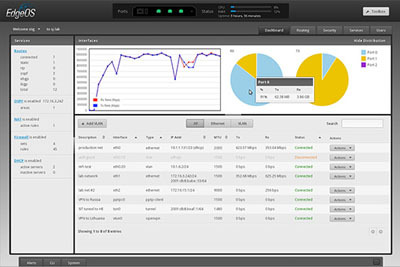 The SFP model, the ER-X-SFP, is powered by an external power adapter. 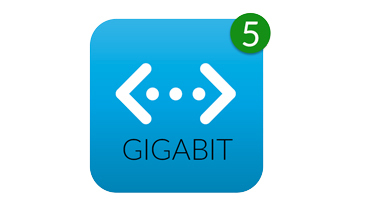 The five Gigabit RJ45 ports support 24V passive PoE output for airMAX or UniFi devices, while its SFP port provides fiber connectivity to support backhaul applications. 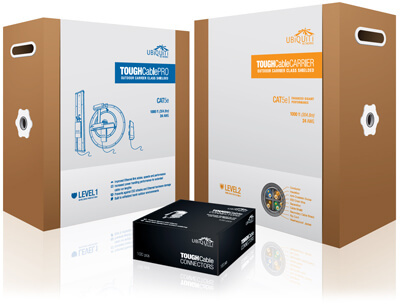 * Requires 24V passive PoE or a 12W minimum power adapter (not included). 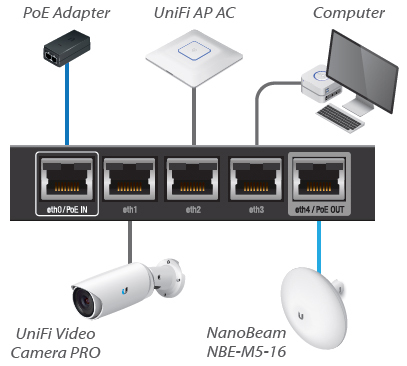 Powered by 24V passive PoE, the ER-X provides data with 24V passive PoE to the NanoBeam and data to the UniFi Video Camera PRO, UniFi AP AC, and computer. 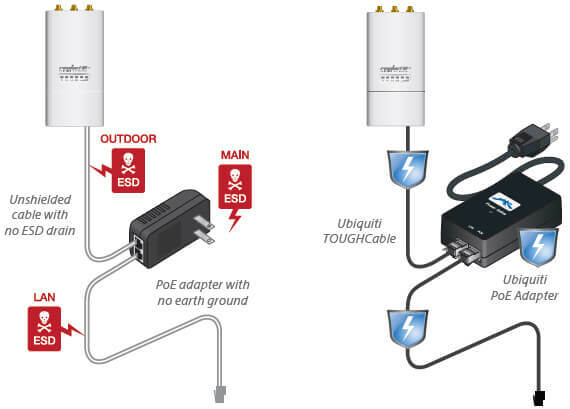 Powered by the included 24V power adapter, the ER-X-SFP has a fiber connection to the Internet and provides data with 24V passive PoE to the five Rocket ac radios. 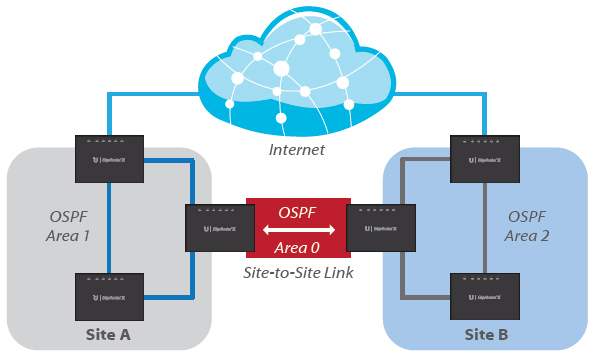 Multiple ER-X devices connect the Internet and three OSPF areas of the service provider's network. 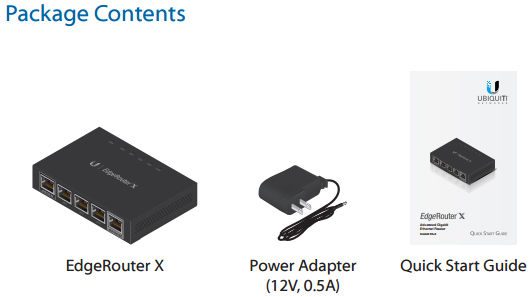 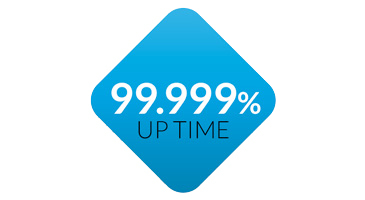 Download the Ubiquiti EdgeMAX EdgeRouter X Datasheet (PDF).